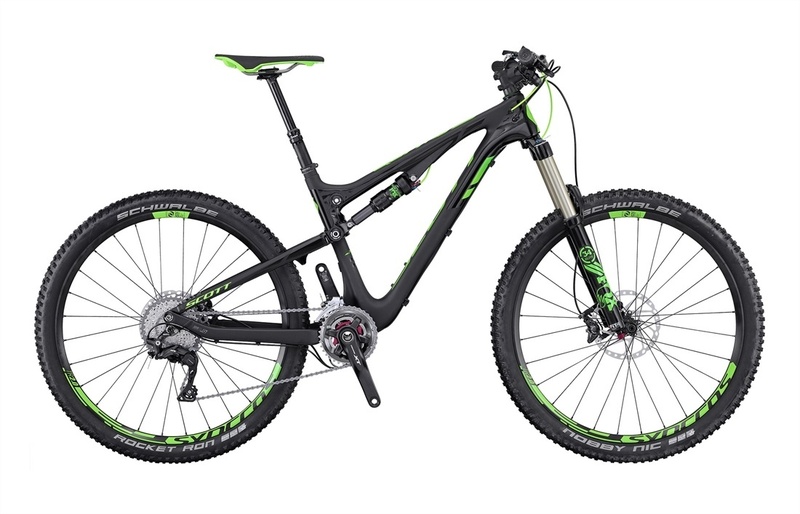 Click the button below to add the 2016 Scott Genius 910 Bike to your wish list. The 900/700 HMF carbon-fiber Scott Genius takes all of the innovation found in the HMX Genius and applies a slightly lower-grade HMF carbon-fiber to the task. Same performance, with a big cost savings, a solid improvement in frame durability, and a small increase in weight. The 29er version possesses 130mm of front-and-rear travel, while the 27.5 version has 150mm. The idea is this bike can do anything from racing to trail to enduro. The main thing to decide between is if you want the bike to slightly favor agility and acceleration or momentum and rollover. If the former, pull for the 27.5”, if the latter, the 29er. The Genius’ smarts has to do with how the design gives you a bike that can ride like a long-travel cross-country bike, but still handle big hits and rough stuff. First the geometry mates an aggressive seat angle to short-ish chainstays and a slack head angle. The geometry can be tuned via the adjustable chip at the top of the suspension linkage. 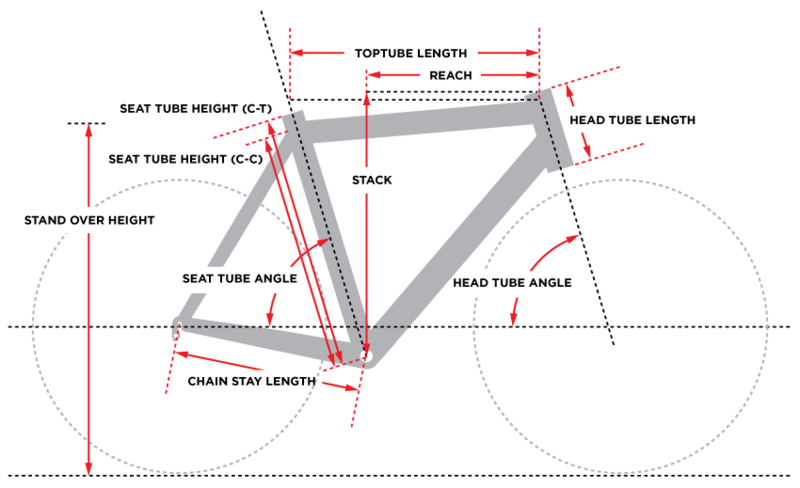 Raise or lower the bottom bracket by 7mm and move the head angle forward or back by .5 degrees. The wide BB92 bottom bracket allows for a massive carbon juncture, which contributes to lateral stiffness in two ways. First, the downtube can be super-wide, limiting flex there. Second, the chainstay pivot is also as wide as possible, limiting flex and wear there. Up front, the tapered 1 1/8” to 1 1/2” head tube provides lateral stiffness to limit the fork tracking itself. And when you want to go further, you’ve got the dropper post. The cable runs internally and hooks up to a lever on the right side of the bars. Your fingers are your minions as they fine-tune the ride as you’re pedaling. No need to stop until you’re back home. The Scott Genius 900/700 HMF Carbon has the trail mastered. You supply the movement and reap the grins. Headset Syncros FL1.5, 1.5" - 1 1/8"